The NSFA presents 2 annual awards at our provincial Exercise Leadership Summit (ELS); The Student of the Year Award and the Community Impact Award. The Student of the Year Award is awarded to the student who achieves the highest mark, by percentage, on any NSFA exam written in the past year. 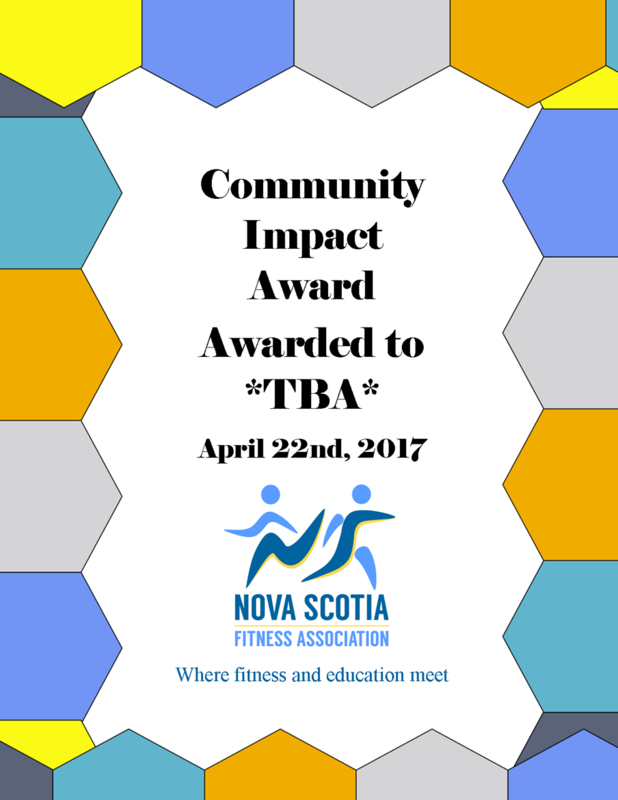 The Community Impact Award will be awarded to an NSFA member in good standing who uses their fitness skills in a volunteer capacity (over and above their paid work) to the betterment of their community. Nominees for this award must complete a nomination form and have letters from 2 references regarding their volunteer work.